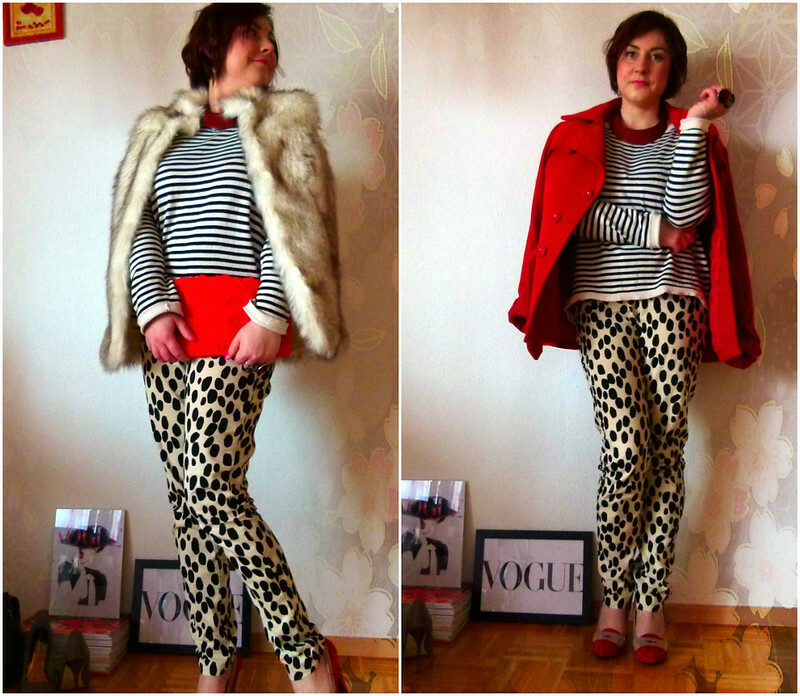 Which one is better with mix patterns? 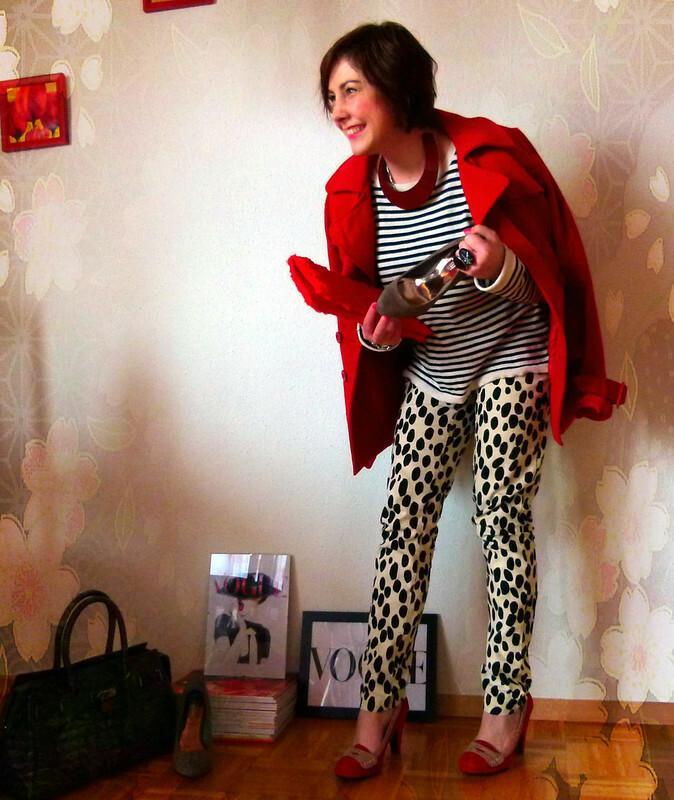 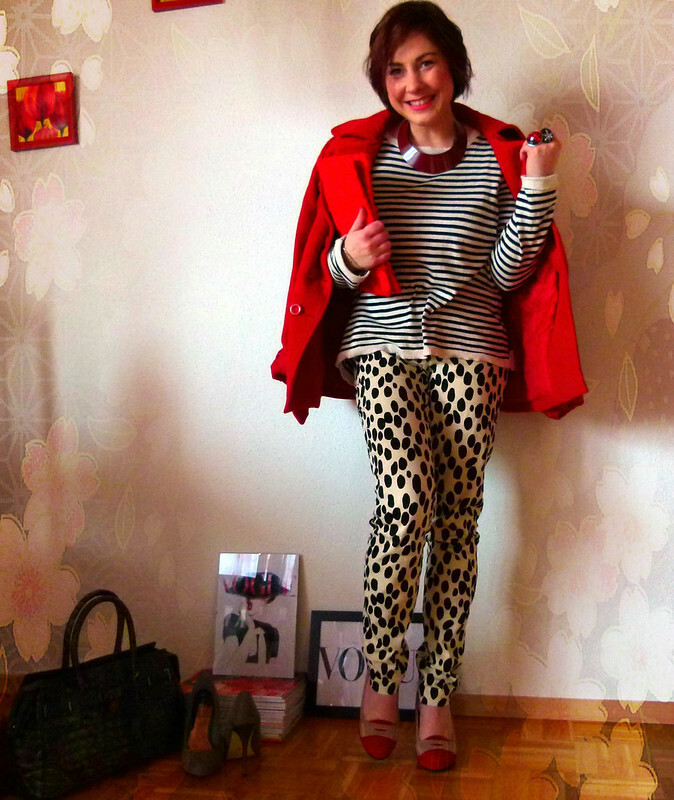 Today i want to show you my combination with mix patterns.Stripes and polka dot,the question is how to coordinate them? 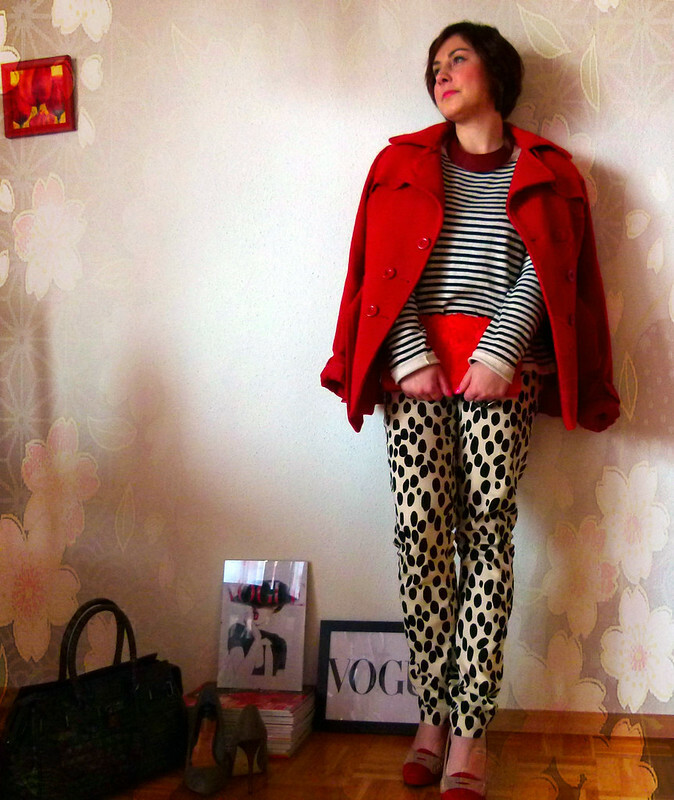 My answer is : Patterns are playful and it´s interesting on outfits,like i did and one more thing which is important if they are matched properly. 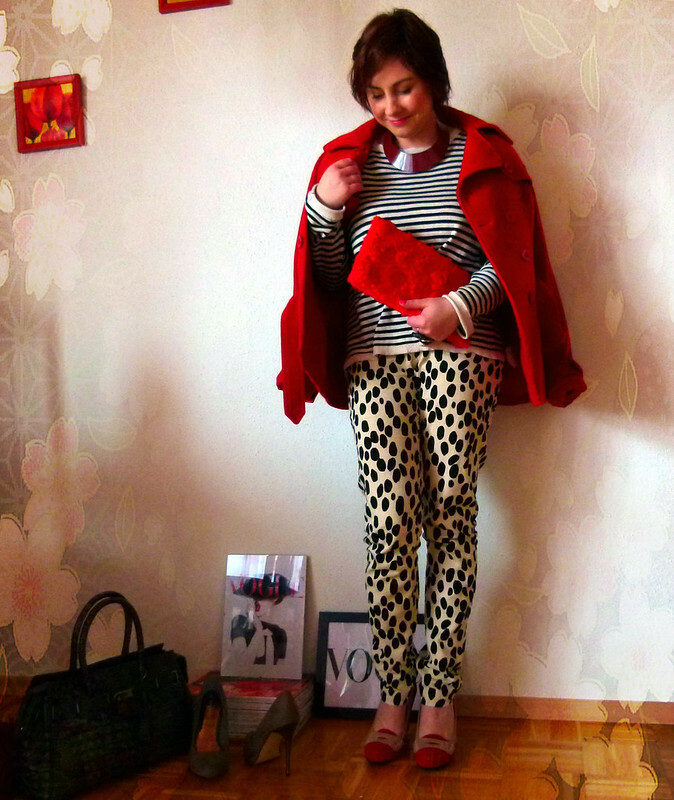 Another thing is, i can say the biggest challenge is also the color matching.To get even better combination i´m wearing red shoes,red coat and red clutch.If you´ve been reading another previous blog post ,you can check now here a red necklace.Right now i´m obsessed with her. 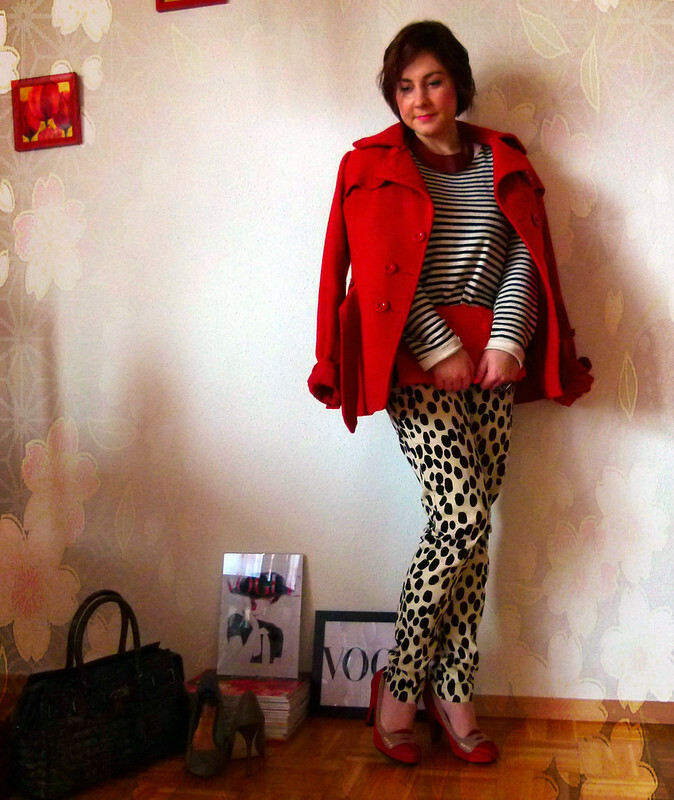 If you have some interesting combination with mix patterns i ´d like to see.You can share on my Facebook page.